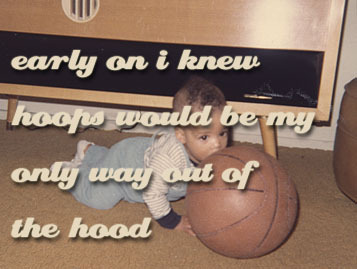 its true that early on i knew that hoops would be my only way outta the hood. and despite the fact that my mother stressed academics, erryone knew that sports is what would bring in the dolla bills, women, and wine. so in grade school i traded in my books for knee pads, put them on in weird ways, and watched the offers flow. 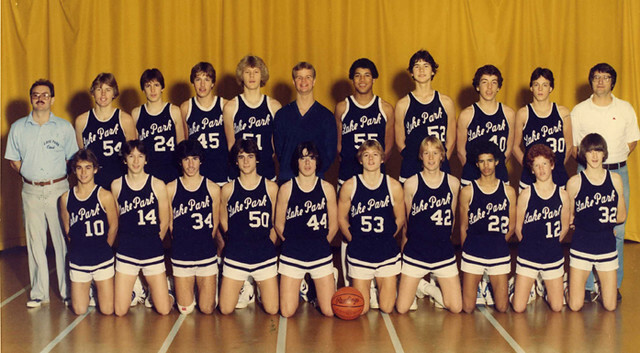 got a nibble from various private schools, but when i learned that my local public high school only had one other black player i knew i (22) was good to go. 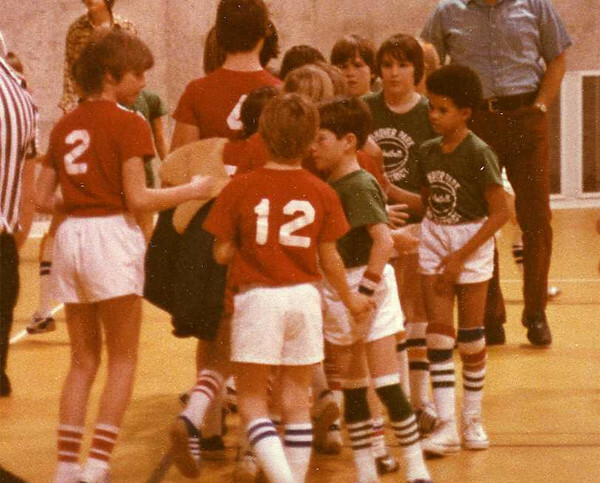 plus i could keep playing with my main man Bobby D (24) who i’d been ballin with since kindergarten.